Any admin charges for a successful match up between mare and foal by Hollylodge will be billed to the foal owner by Hollylodge. 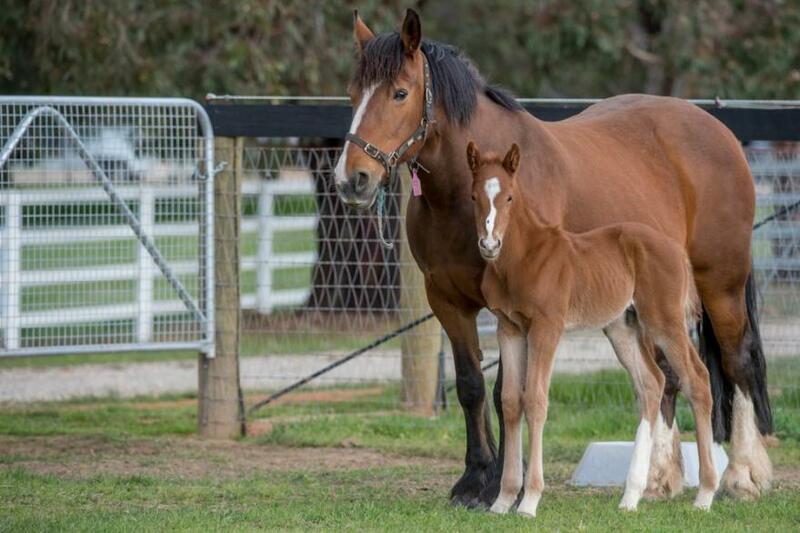 Through good communication over the years Hollylodge has successfully matched up mares with foals thus providing foals with a chance in life, one of our successful match ups is the racemare THRILLIONAIRE who was an orphan foal and was fostered by a mare kindly provided by one of our clients. Pic below Paint The Stars as a foal with his Nanny mare Lucy at Hollylodge, he is now in work with Shawn Mathrick ran 5th at his first city start.